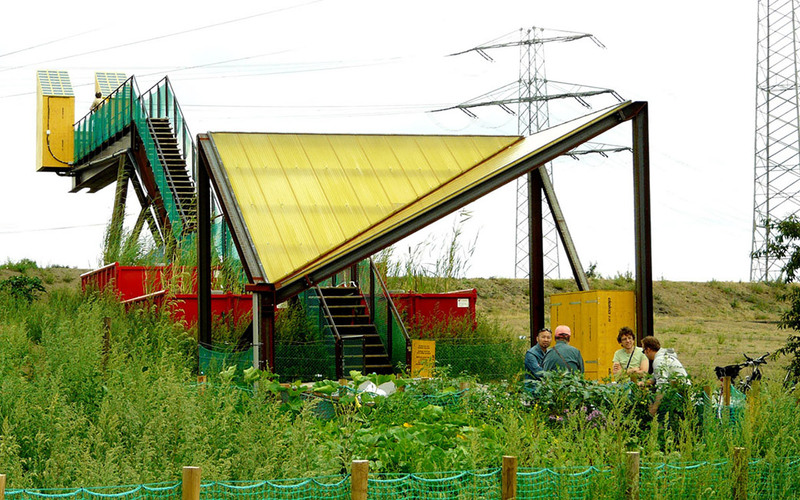 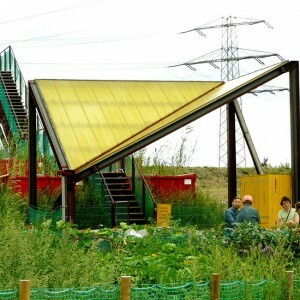 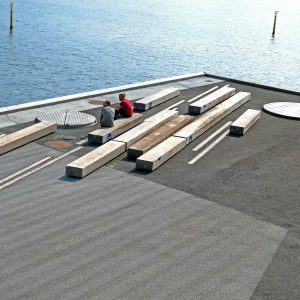 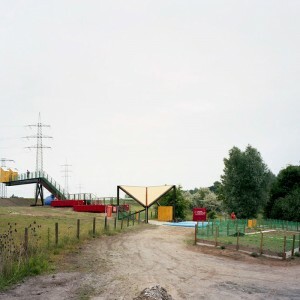 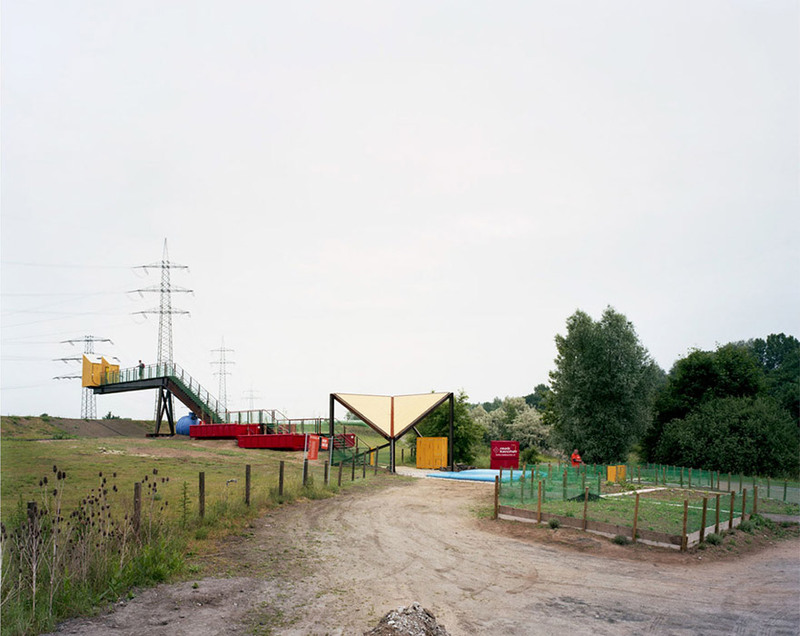 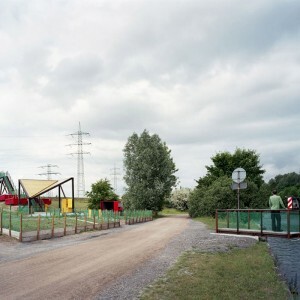 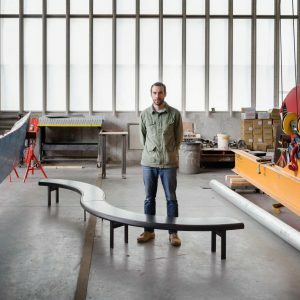 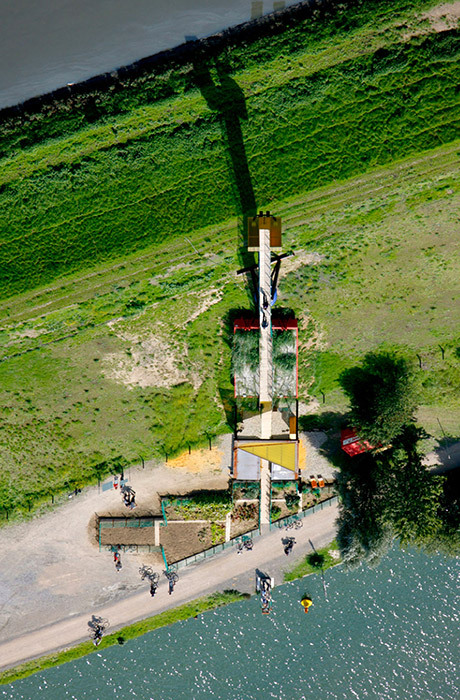 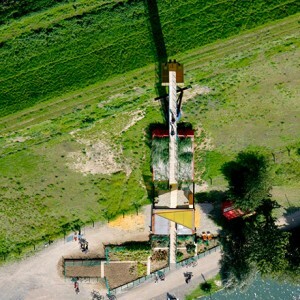 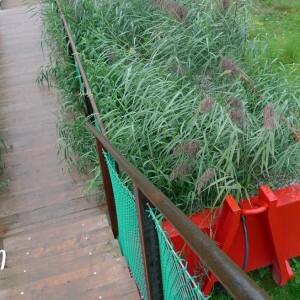 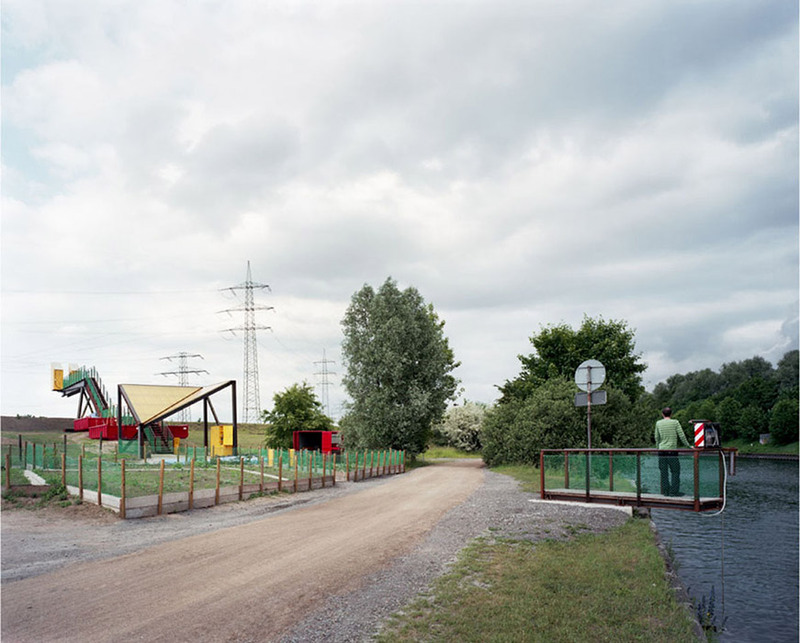 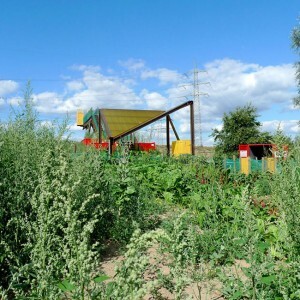 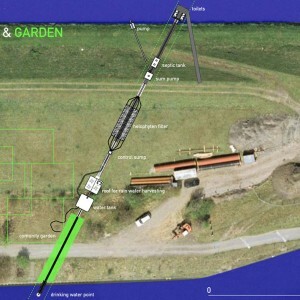 Ooze: The project Between the Waters: The Emscher Community Garden is located at one of the narrowest points on Emscher Island, between the Emscher River and the Rhine-Herne Canal. 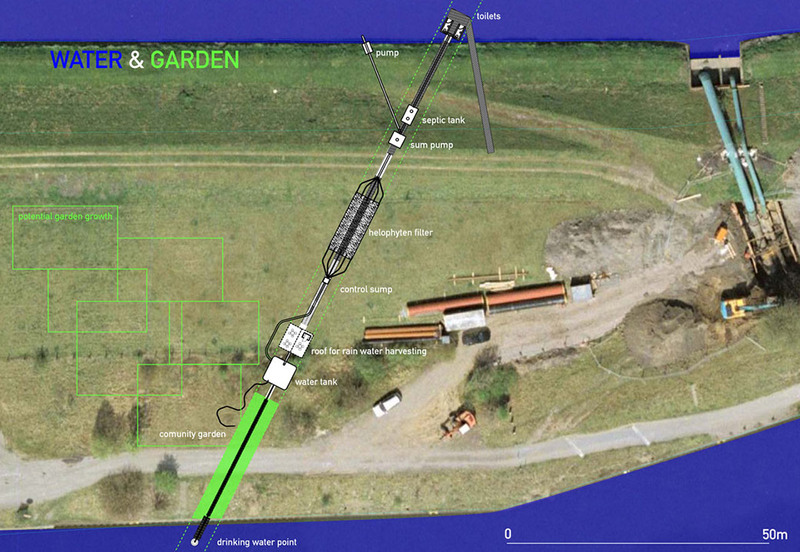 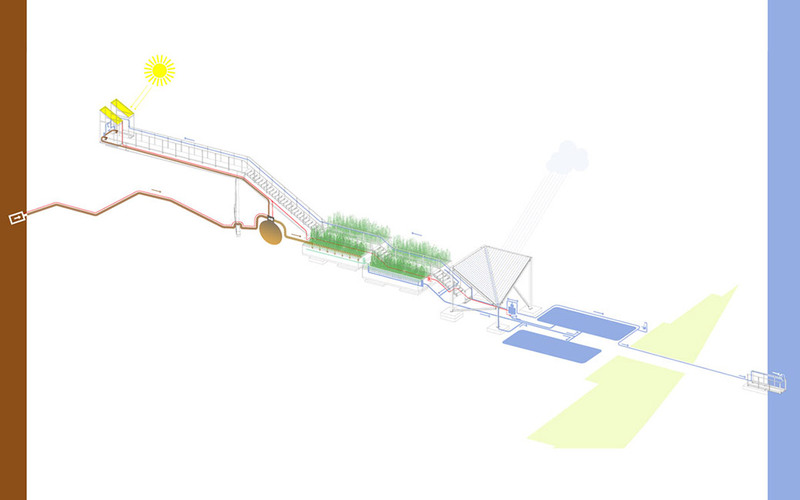 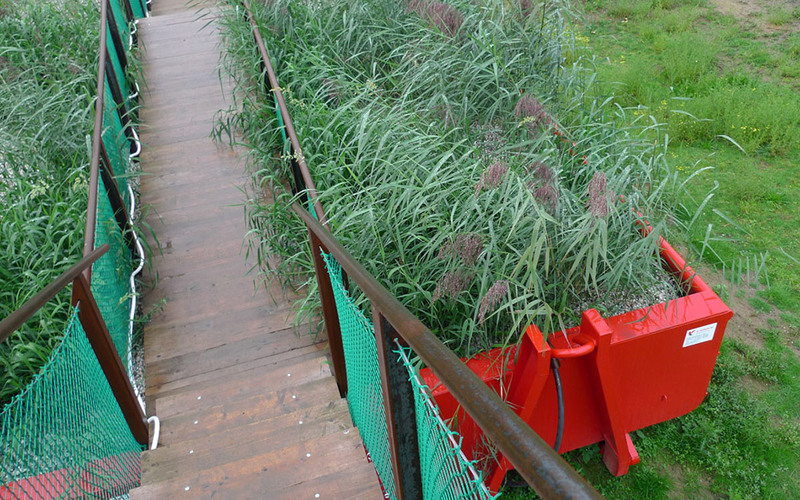 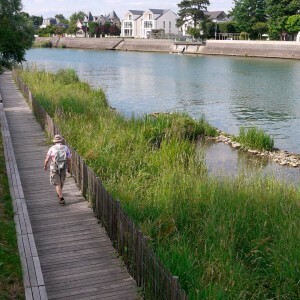 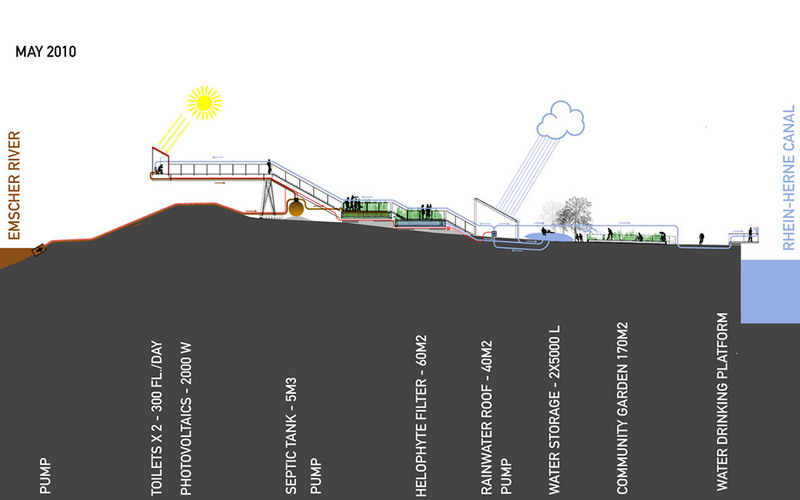 The walk through the project starts next to the Rhine-Herne Canal, with visitors entering the Community Garden; it then leads uphill beside the fully exposed water supply and treatment installation. 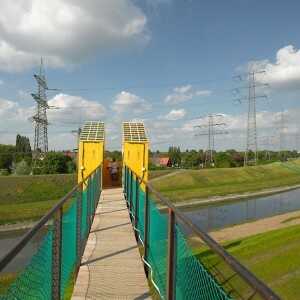 The walk ends on an elevated platform above the Emscher River dyke. 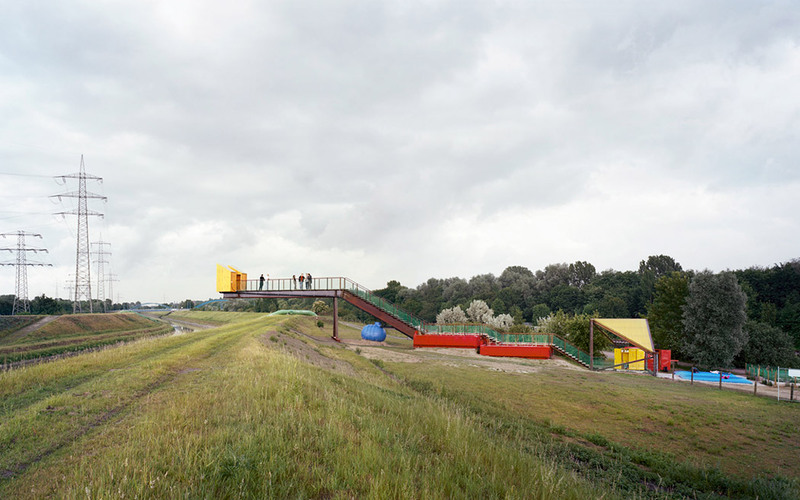 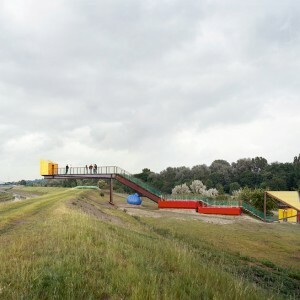 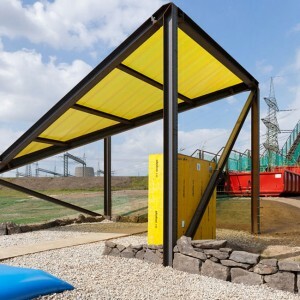 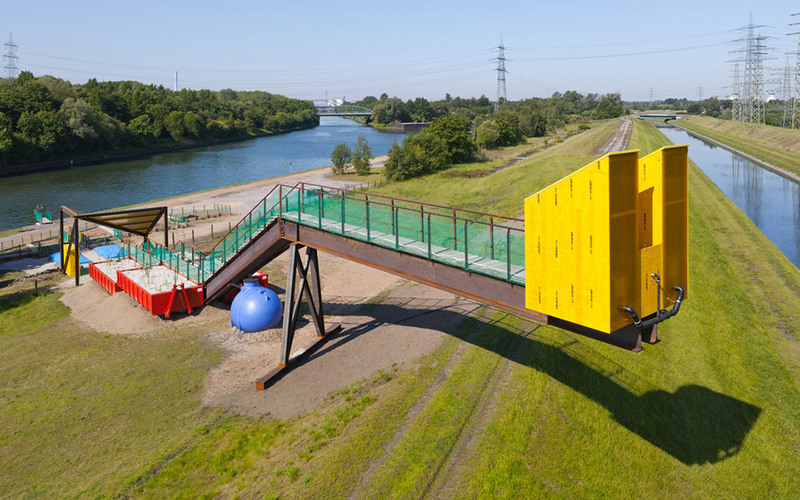 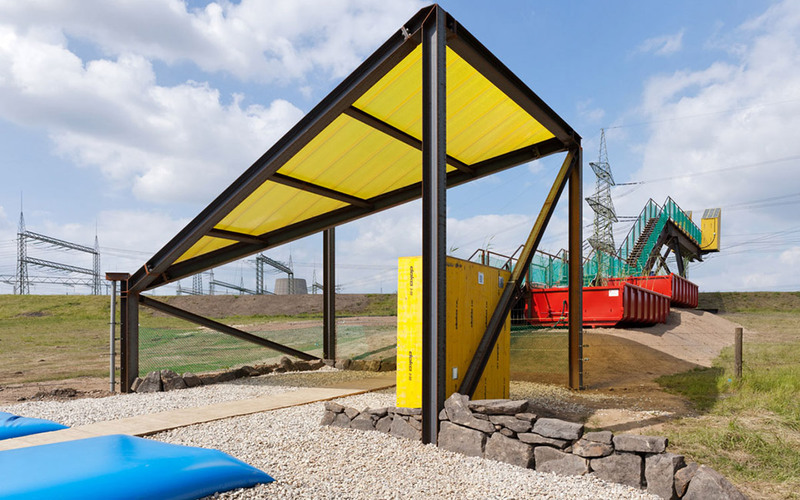 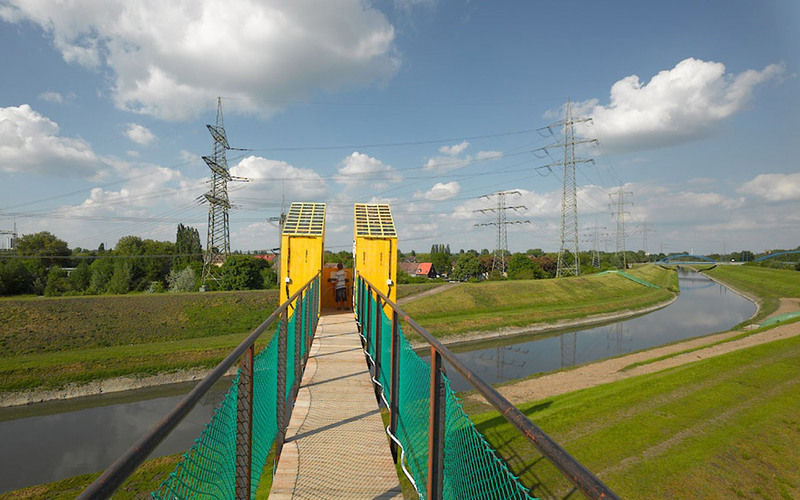 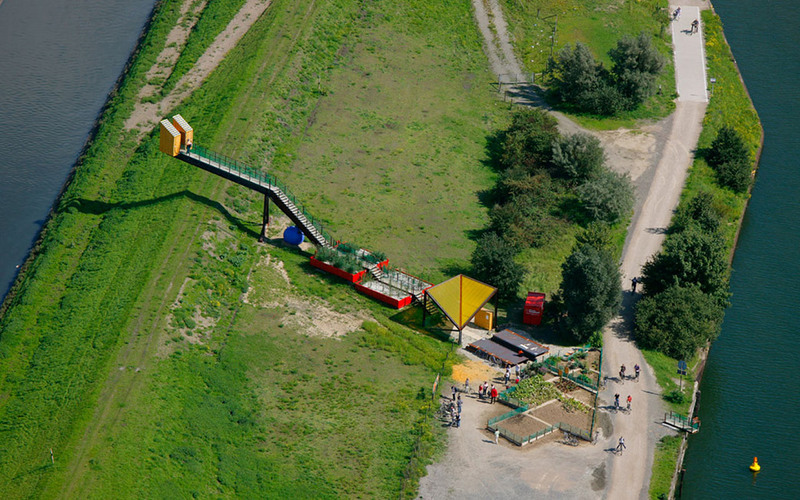 Here visitors can view the challenging topography of the landscape and see for themselves how the highly polluted (and for this reason fenced-off) Emscher River is elevated above the nearby towns, which have sunk as a result of mining activity in the previous century. 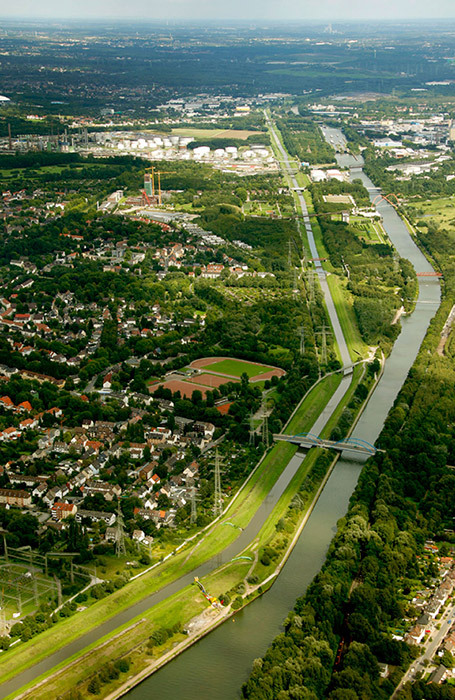 Looking down the slope towards the Rhine-Herne Canal, they have a clear view of the complex water processing installation, which works with the water on the site between the two waterways. 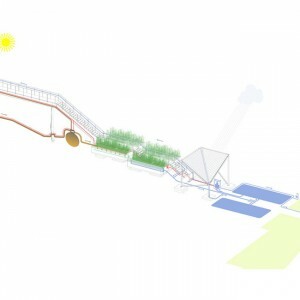 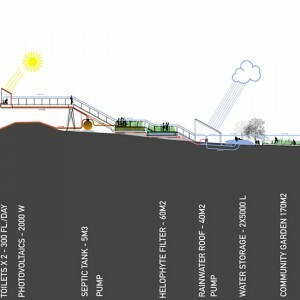 The project is a complete and sustainable water-supply system. 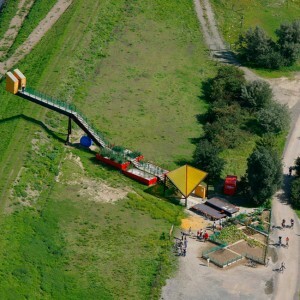 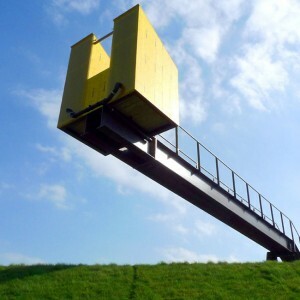 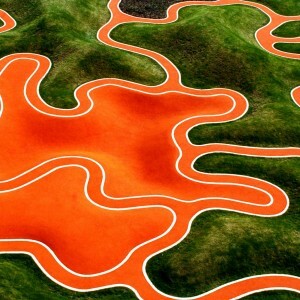 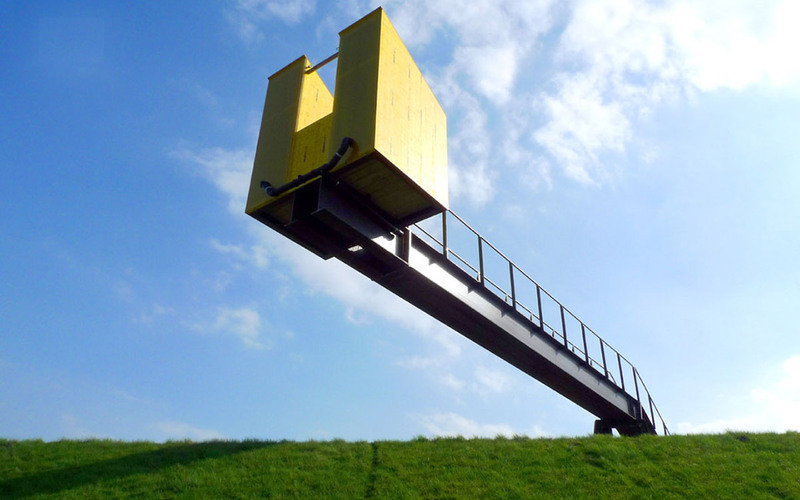 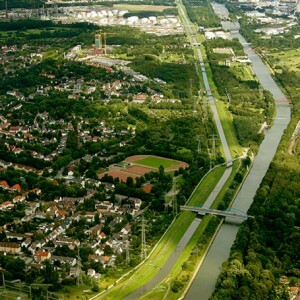 It uses only water from the immediate area: the Emscher River, the Rhine-Herne Canal, rainwater and waste water. 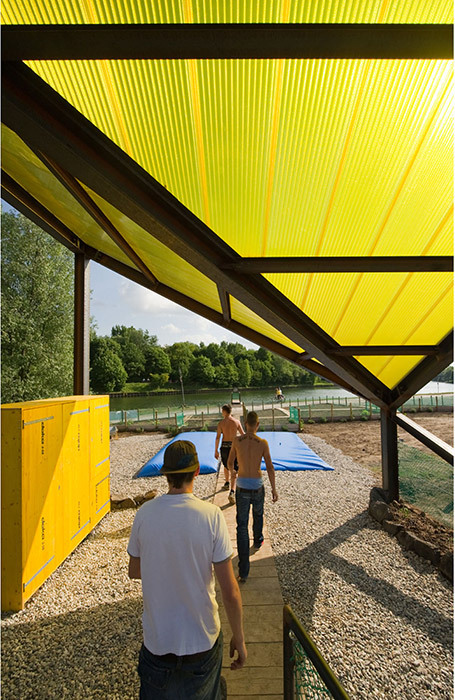 The main elements of the water supply and treatment installation are two toilets located above the Emscher River, a pump that draws water from the river into a septic tank, a constructed wetland (a helophyte filter), a rainwater-harvesting roof, water storage bags (“pillow tanks”), and a fountain located above the Rhine-Herne Canal that offers visitors water of drinkable quality. 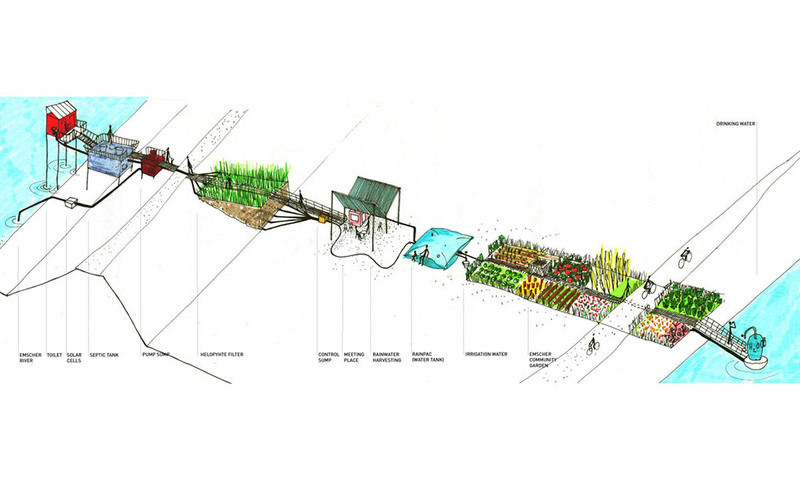 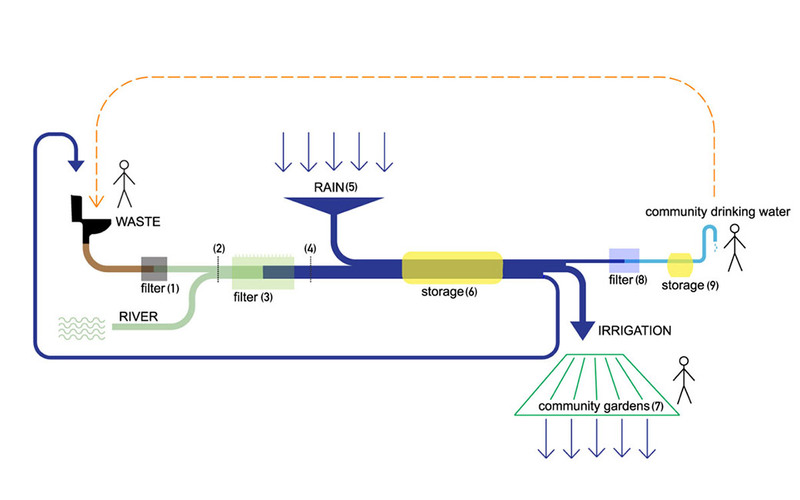 In addition, the system provides water for irrigating the Community Garden. 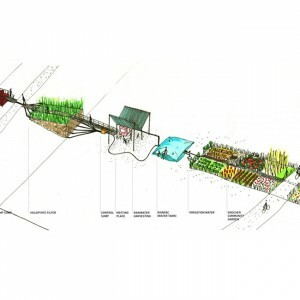 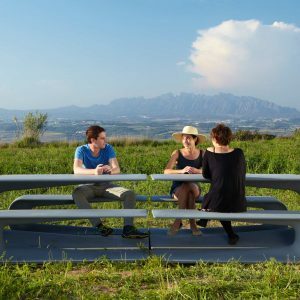 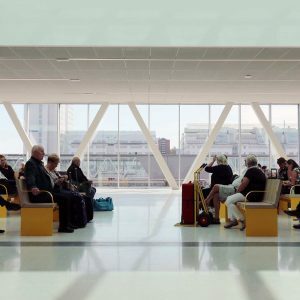 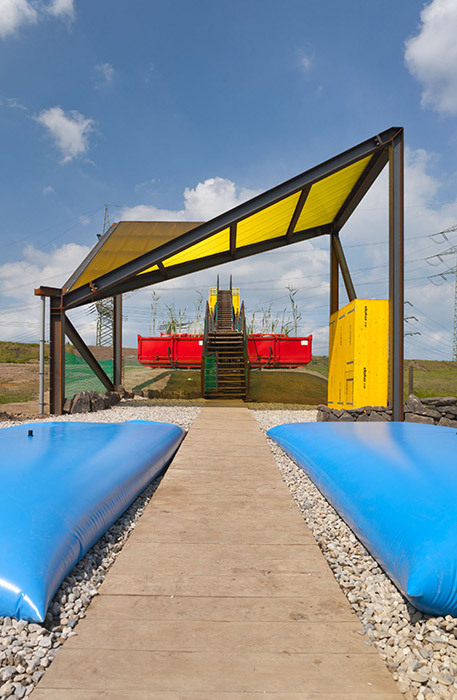 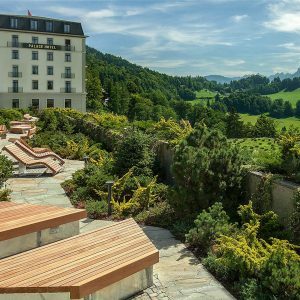 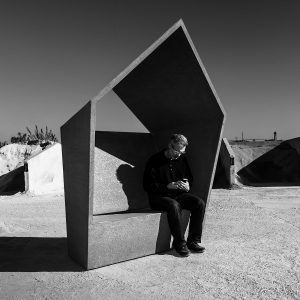 The project teaches visitors about the various stages of the water supply system – usually hidden underground in their everyday environment – and engages them in such issues as the conservation, treatment and use of water. 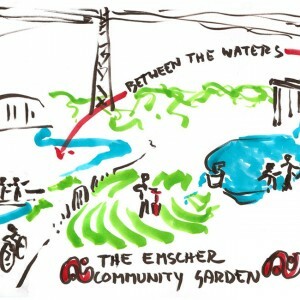 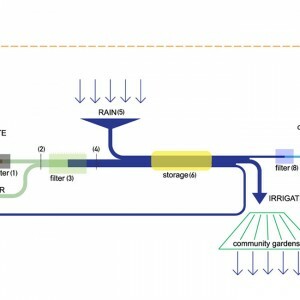 Between the Waters: The Emscher Community Garden shows it is possible to reclaim and restore the natural habitat by using low-tech processes to construct a high-tech system. 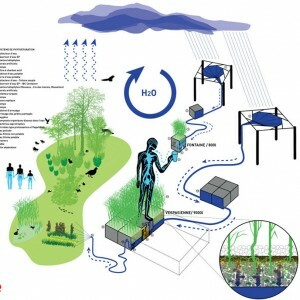 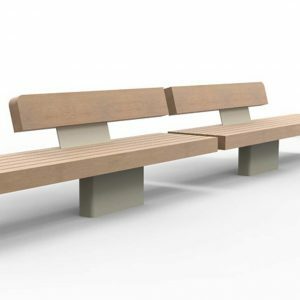 Although designed for this particular site, this is a mobile system that can be replicated in other localities. 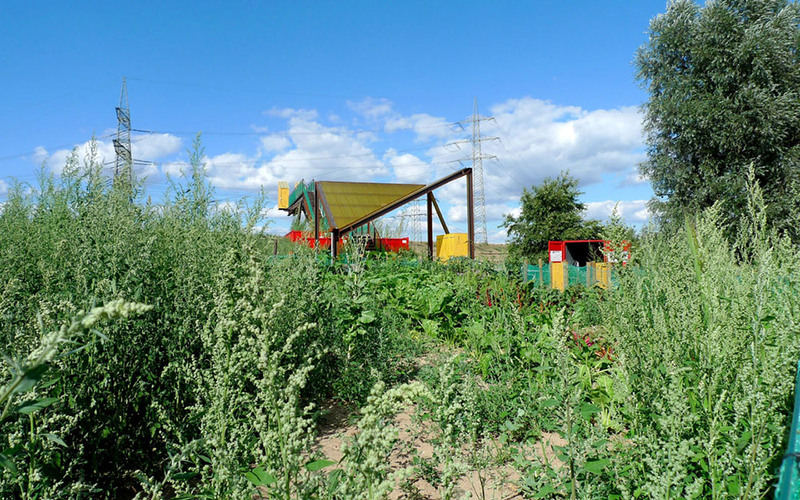 Equally important, through the Community Garden the project demonstrates the importance of local residents’ involvement with sustainable practices relating to water, including water conservation and local food production. 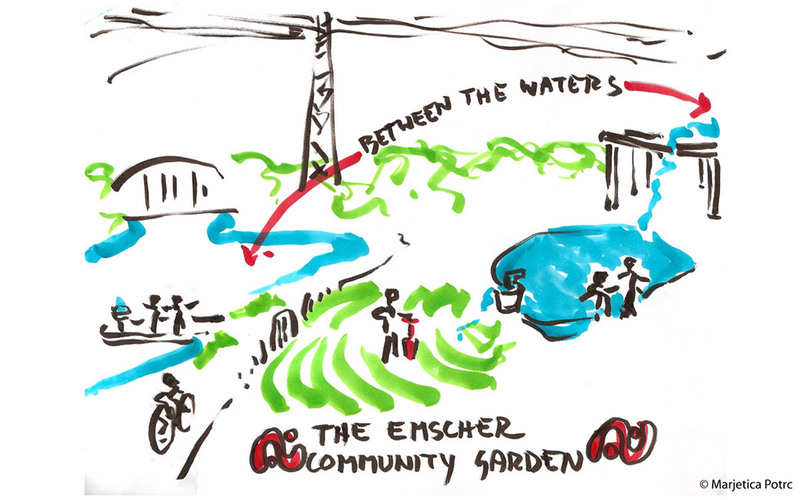 The project underscores nature’s ability to restore itself and the power of local communities to make this happen.